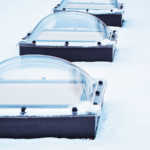 Faulty Flashing: Flashing is installed around objects that protrude from the roof, such as pipes and ventilation fans. It is also found on walls and curbs. Its purpose is to divert water away from joints and seams. 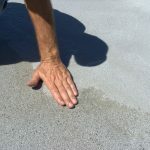 The majority of flat roof leaks are caused by the failure of flashing to do its job. This can occur when extreme weather conditions, or long-term exposure to normal climate changes, causes expansion and contraction to affect the performance of flashing. Pitch Pans: Next in line for most frequent causes of leaks in flat roofs are faulty pitch pans. These devices seal seams around pipes that extend through the roof. They require regular maintenance to maintain seal integrity. Extreme weather or neglect will result in the seal becoming compromised. Water will then begin seeping down the pipe and into your building. Reduced Wind Uplift Resistance: Your building’s roof is not just exposed to sun, temperature and rainfall extremes. It is also exposed to wind. Over time, wind can also affect flashing. As wind travels over a flat roof, its surface pressure decreases. This results in internal air pressure increasing, forcing air upward into any cracks or openings in a roof. This is commonly called “wind uplift”. It is important to maintain seals in seams throughout a flat roof system, otherwise the entire membrane can incur damage. Standing Water: Despite the word “flat” in a flat roof system, proof that depressions do exist can be seen in areas of ponding water. Standing water can occur from something as simple to fix as a clogged drain. Regardless of cause, standing water should not be ignored. If left unchecked, standing water leads to roof deterioration and, eventually, leaks. Properly solving the problem requires an investigation to determine the source. Is it an issue with HVAC condensation or is there a void in the roof’s membrane? A professional inspection can get to the root of the problem and fix it right. Punctures: Any puncture of the membrane means an area of penetration open for water. Punctures can be the result of equipment or foot traffic. 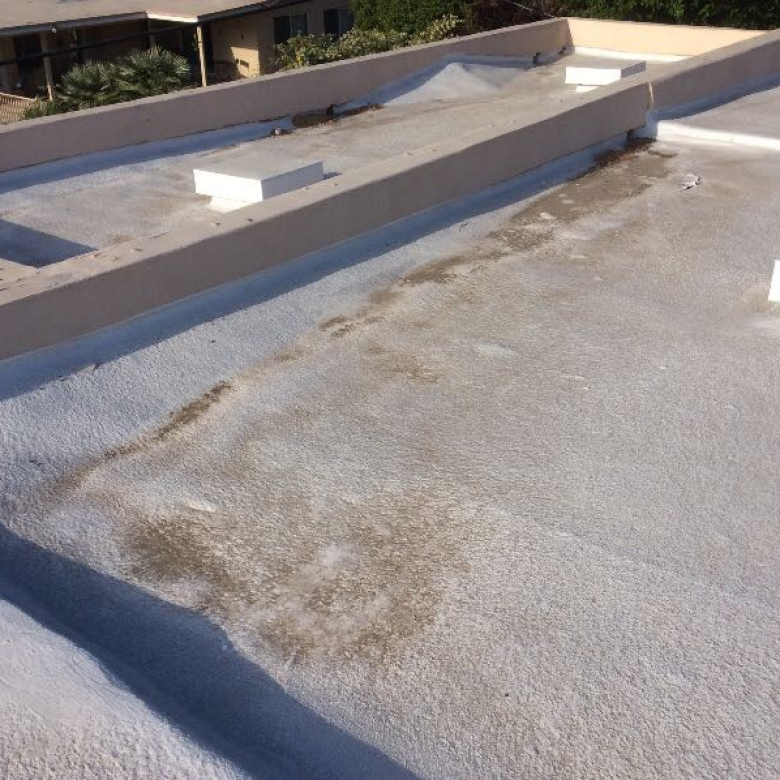 Scrapes can also be caused by overhanging branches that are constantly scratching the surface of a flat roof’s membrane, resulting in membrane intrusion. Even if damage is not obvious to the eye, the underlying substrate could be affected. Considering the constant expansion and contraction all roofs experience, catastrophic results can occur by not addressing even a small puncture or abrasion. Flat roofs should be inspected regularly for any signs of puncture, abrasion or penetration. Why Does It Matter? 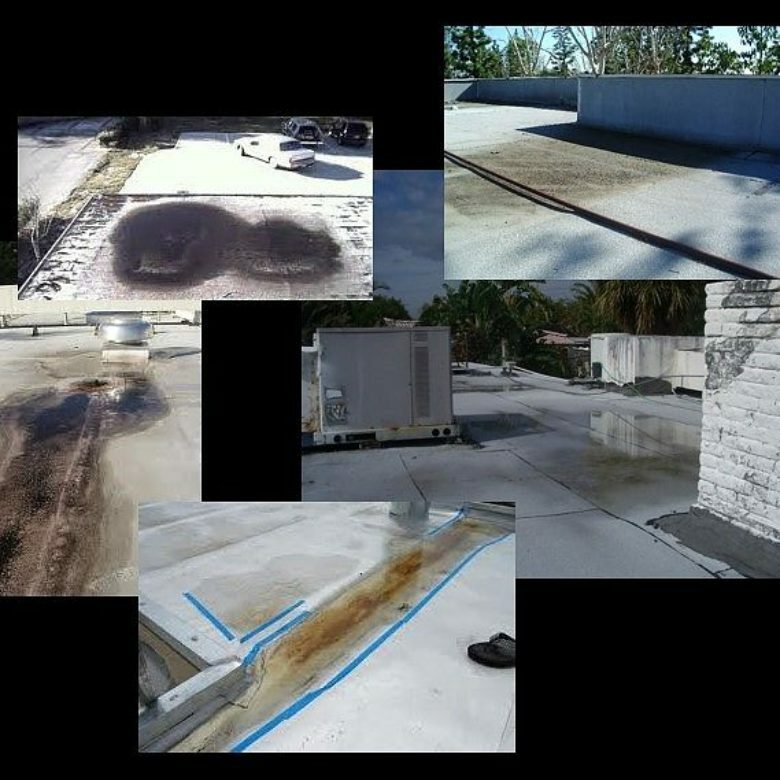 If you have made the choice to neglect routine inspections and maintenance of your flat roof, this could prove to be a costly decision in the long run. A manufacturer warranty offers protection for the material used in the roofing system. If you don’t want to void your warranty, you need to make sure that you understand its terms. If you don’t have a full-system warranty, replacement of flashings and other accessories are your responsibility. Issues like ponding of water are usually not covered. Failure to provide routine maintenance will void a warranty. This includes performing annual inspections. Having work performed by unqualified workmen will also void a manufacturer’s warranty. 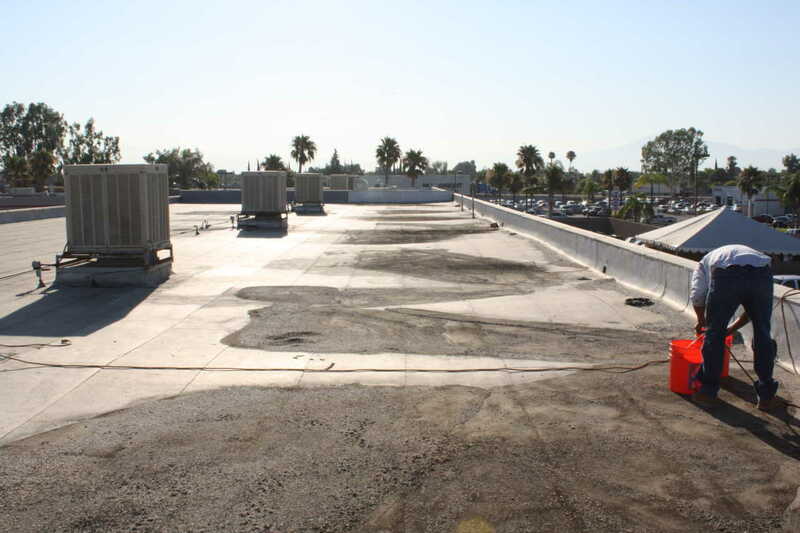 Sooner or later your commercial flat roof is going to need repair. Every year it definitely requires an inspection. Throughout the year, routine maintenance will need to be scheduled. These are all the necessities of keeping your roof in top condition and complying with attached warranties. Please contact us for information on our product that can eliminate ponding water on a flat roof.